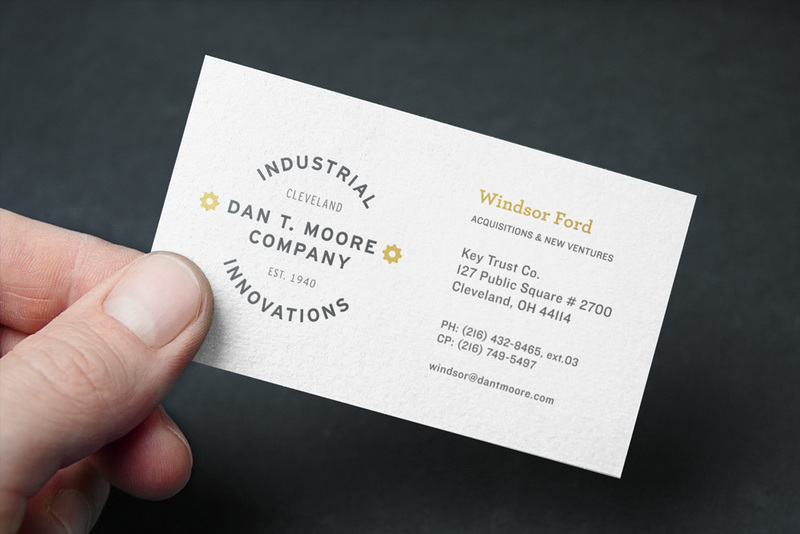 Dan T. Moore Company specializes in industrial innovations, solving unmet needs in the manufacturing process for their extensive portfolio of companies. They have partnered with Go Media for their rebranding and website design. 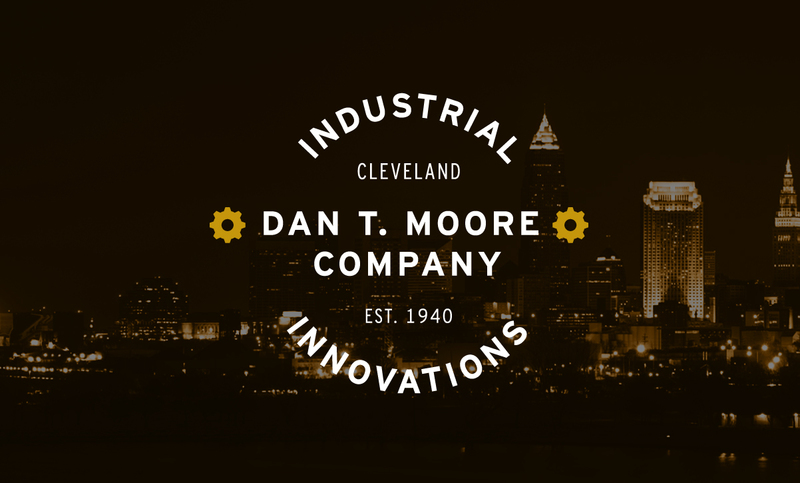 Dan T. Moore Company was founded in Cleveland, OH with the guiding principle of finding and solving unmet industrial needs. Operating as a family office, they leverage extensive internal R&D capabilities to improve the manufacturing processes of their portfolio companies. Go Media had the pleasure to work with DTM Co. to help visualize the caliber of the company, and develop a new website to present their brand and portfolio of companies to a modern market. The DTMC brand is unique in that it needs to live both in the board room and in the warehouse. With that in mind much of the inspiration for the aesthetic came from industrial trademarks which have been dressed up a bit. 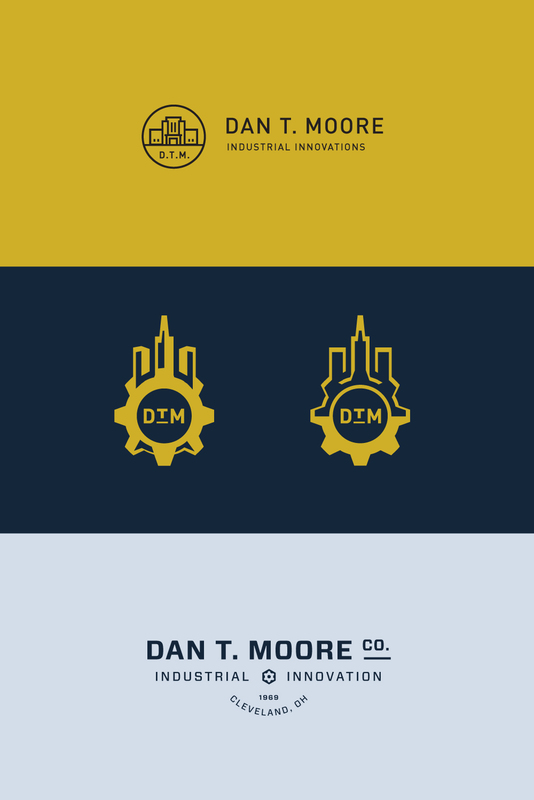 Above you see the final Dan T. Moore Company logo and all of it’s variations. 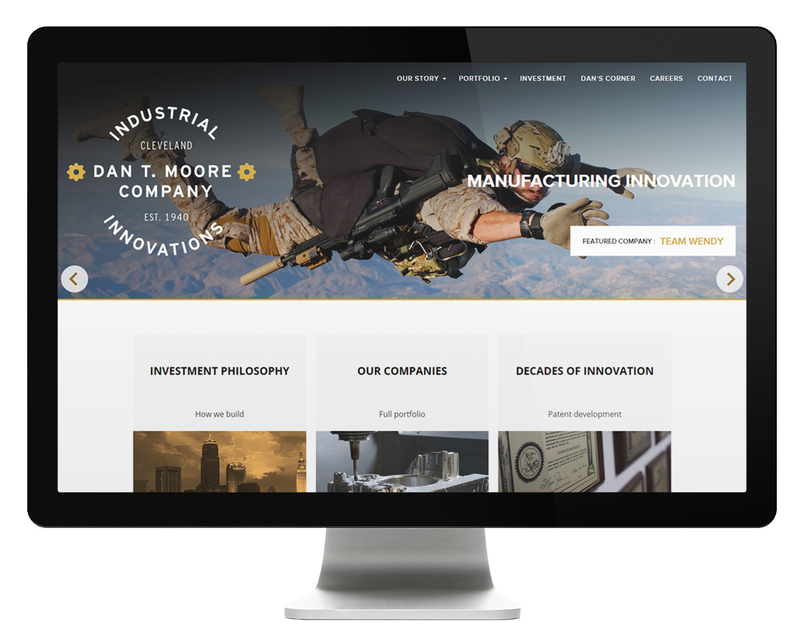 The main goal for the Dan T. Moore Company website is to showcase their diverse portfolio companies. Below we see some of the work in the design process which ultimately lead to the final work above. These steps help us flesh out concepts, explore visual themes, and vet the solutions we present to the client.